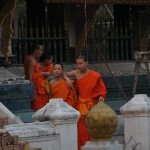 Lao was part of my Southeast Asia tour and was the only country that my travel mates had already been to before me. Entering into the small, poor Lao from the big Chinese Republic is definitely simple without any delays or any other complications. 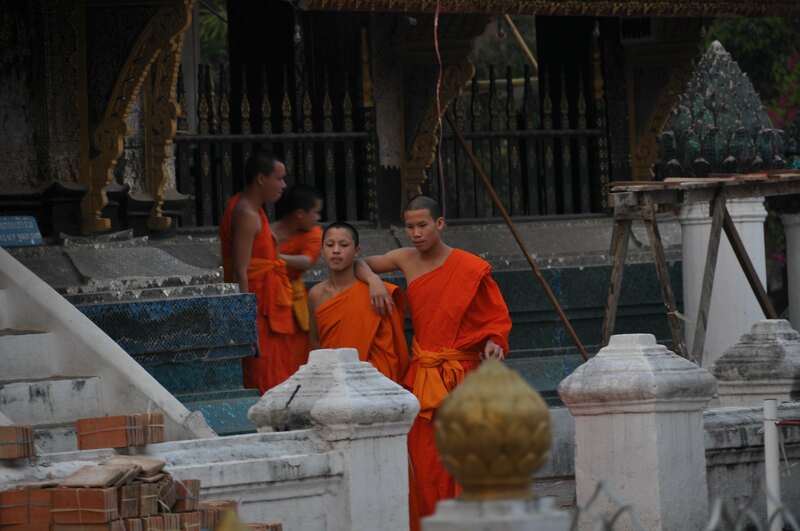 Our first stop was Luang Nam Tha, a city with an undergoing development since 2006, when Nikos was there. 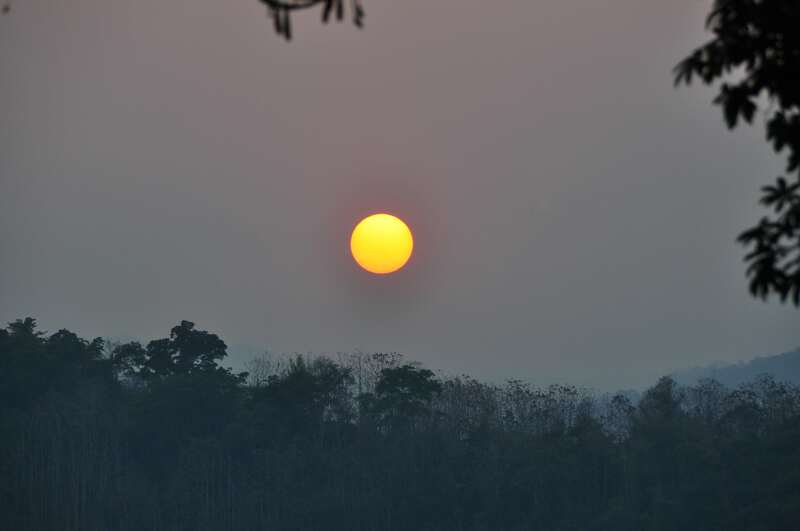 Today it’s the adrenalin capital of Lao and the starting point for many of the country’s natural beauties. 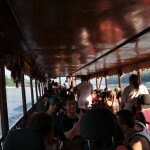 Here our team had to split since Dimitris was in a rush to head back to Thailand and we had a whole month to explore Lao. 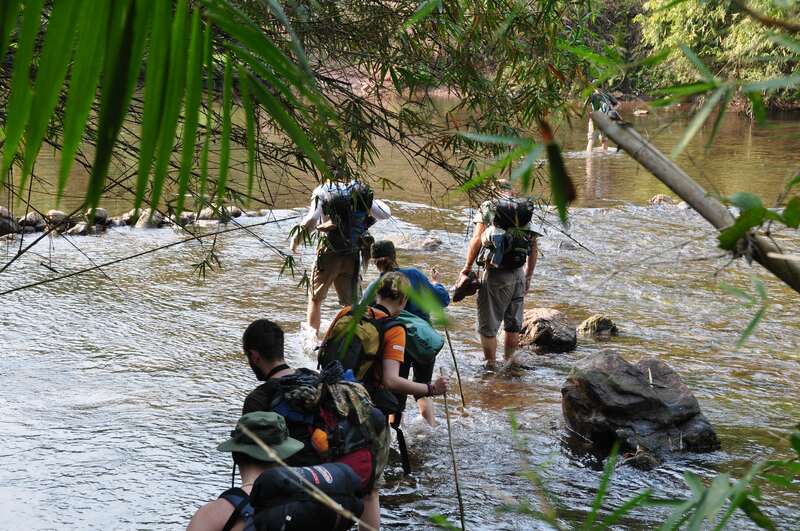 We did a three-day jungle trek through the bamboo forest that took us close to the Greater Mekong. 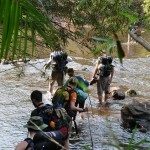 Staying in local homes really made the difference since we had done tropical rainforest trekking in other parts of the world too. Once we got so close that they even arranged an entertainment night with every single kid singing a song. Their reward was a nice, cold soft drink that we provided. We did that so that these kids understand the meaning of earning something rather than demanding it for free from the tourists that will come after us. Of course the pens and the papers were free for everyone. 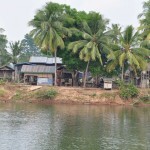 When we reached the Mekong in the village of Huay Xai, we boarded the slow, long-tail riverboat all the way to Luang Prabang. Of course this is Lao so things run much slower than the rest of Southeast Asia. 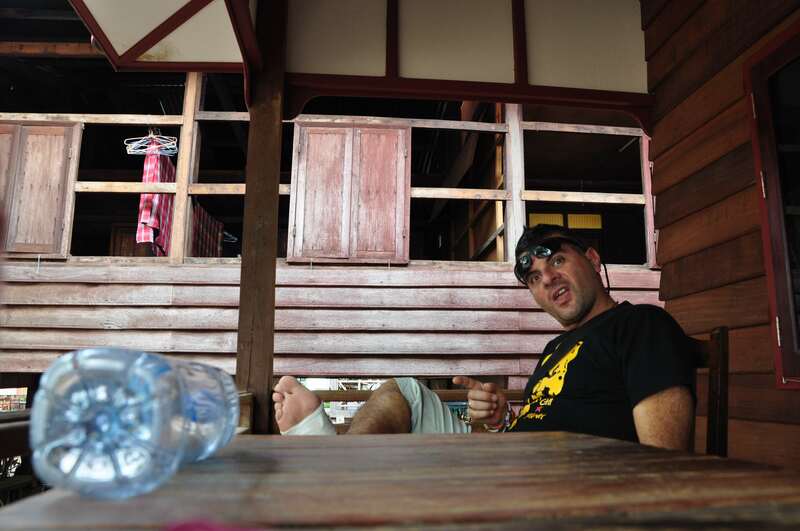 We had to spend the night in Pakbeng. 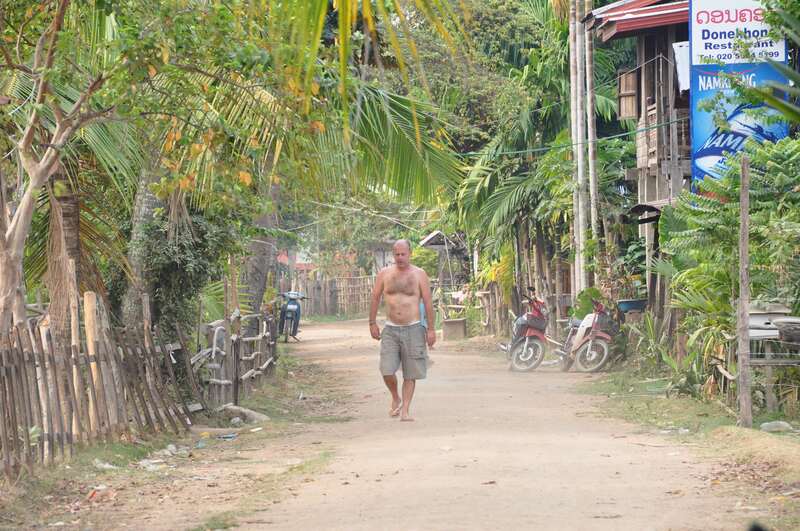 It’s a riverside village that’s almost deserted by day and busy with the foreigners that stop here for the night. 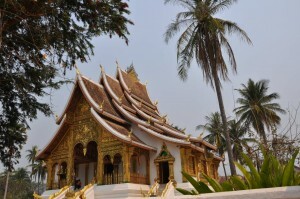 Luang Prabang, on the other hand, is the gem of the country, a world heritage city with beautiful Buddhist temples. 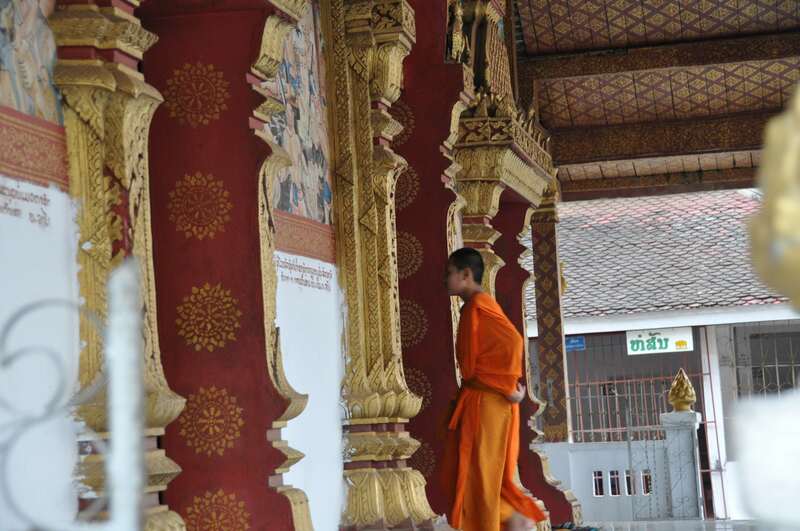 No visitor should miss a few days in Southeast Asia’s most enchanting town. 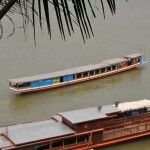 Here we noticed the crowds from the touristic North Thailand that try to find something different. 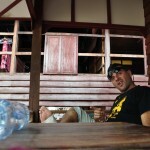 After that was Vang Vieng. 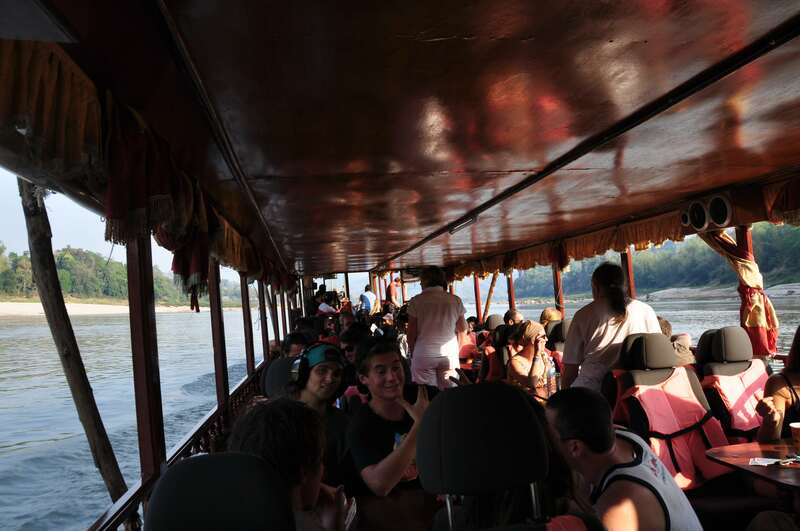 The drunken young backpackers have turned this sleepy river town into a party place. The locals came up with the funny idea of tubing (riding down the river on top of an inflated truck tube). It’s really nice but dangerous too if you happen to be under the influence of alcohol. Although nothing to get excited about, it can be a fun experience for a couple of days. 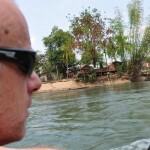 Our southern stop in Lao was Si Pha Don (4000 islands) where the Mekong opens up before it enters Cambodia. It’s a huge maze of sleepy islands, waterfalls and the world known pink sweet water dolphins. Shi Pha Don is definitely one of nature’s wonders. 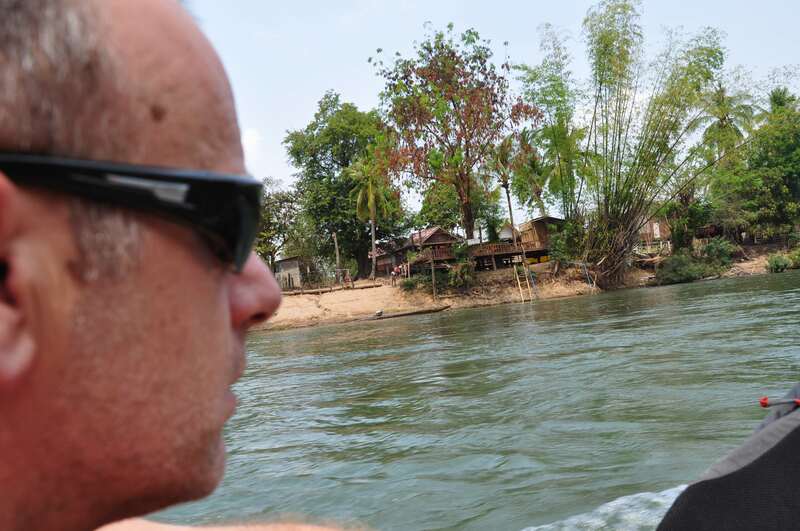 The Irrawaddy dolphins are rare to see but they still attract big crowds. So try to get there as early as possible before the crowds send them away. Unfortunately we had no luck in spotting them but that didn’t make our stay one bit unpleasant. 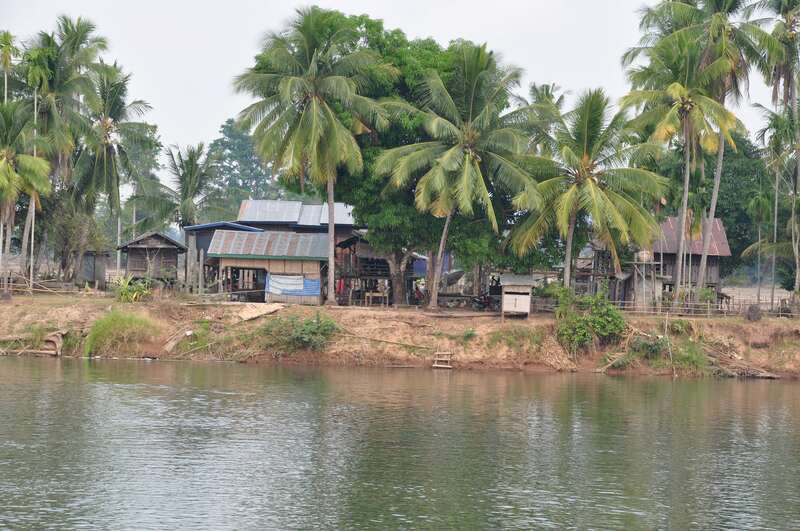 Travellers utter a distinct «ah» when they cross into Lao. It’s like sitting in a comfortable chair after a long day’s work. 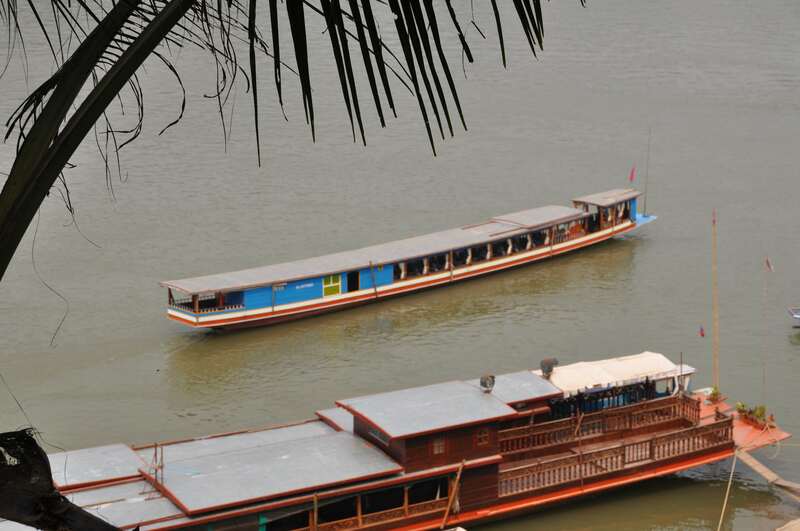 No teeming, smog laden metropolis, no aggressive local approaches. It’s Asia’s slowest, most gentle and most relaxing country, where the population of the largest cities would probably fit into a couple of Bangkok’s blocks. 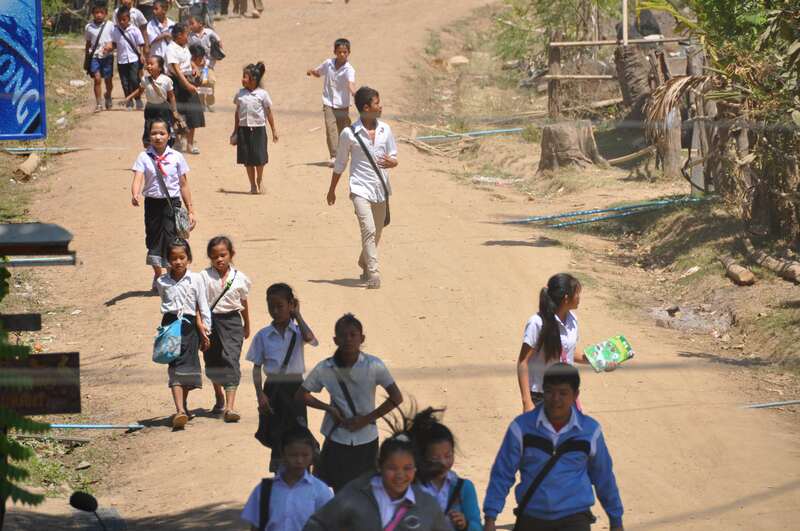 This is Lao, a country that very rarely moves out of first gear. If you have the chance, visit it and you’ll probably fall in love with it as I and many others did.